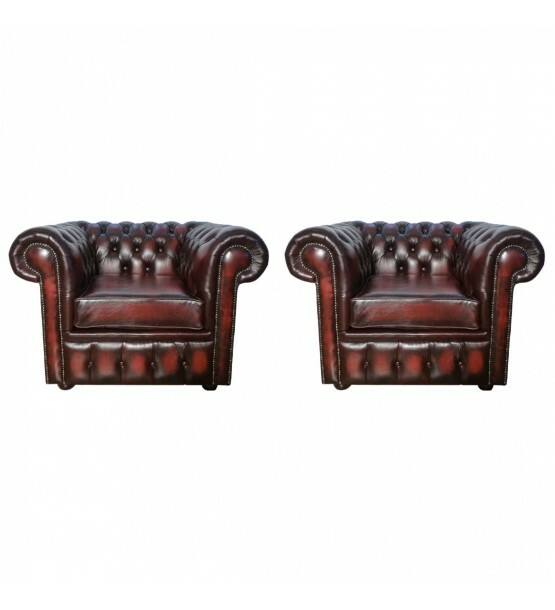 A stunning pair of Genuine Leather Chesterfield Club Chairs in a choice of six stunning colours. Antique Oxblood Red, Antique Brown, Antique Green, Antique Blue, Matt Black and Matt White. 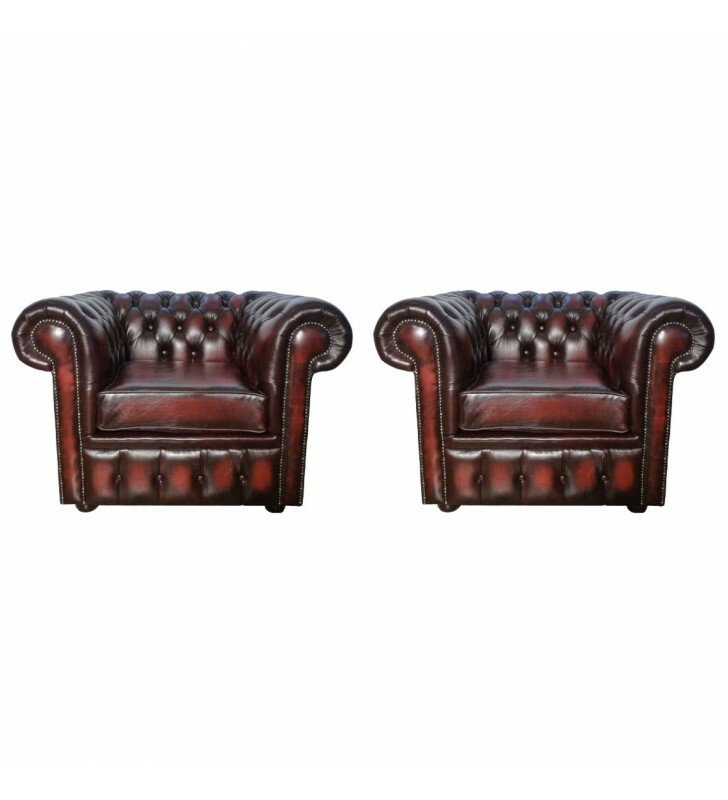 The Chesterfield Clubchair has a classic british low back design and deep buttoned diamond pattern around the arms and back with stud beading around the curved arms and solid mahogany wood bun feet.